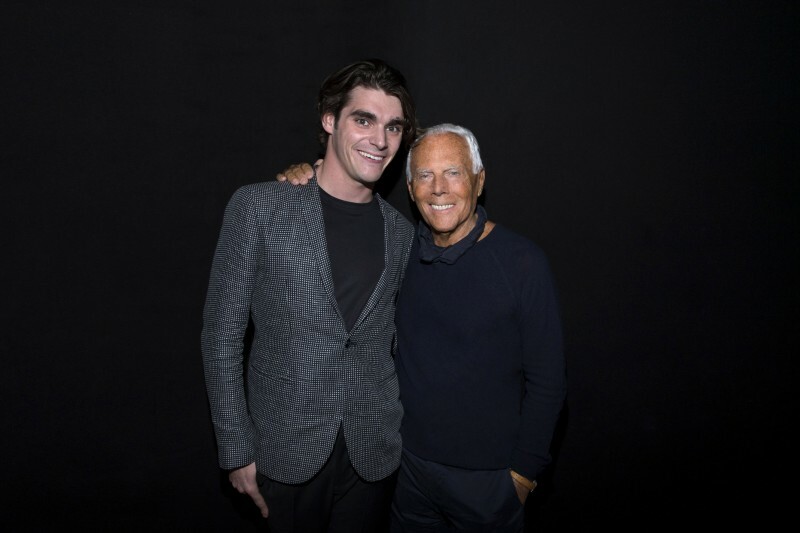 RJ Mitte poses for a photo with designer Giorgio Armani. Now a model and actor, it only made sense for RJ Mitte to attend Emporio Armani's spring-summer 2016 menswear show during Milan Fashion Week. Mitte sat front row for the stylish show, later posing for photos with designer Giorgio Armani himself. For the special occasion, Mitte kept it simple but chic in a black t-shirt ensemble, finished with a trim, tailored blazer. 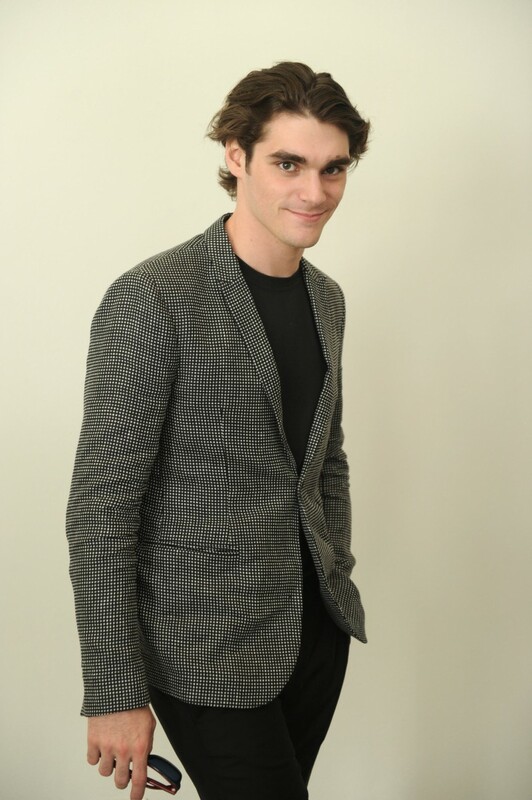 RJ Mitte poses for a photo at Emporio Armani's spring-summer 2016 show.